What to look for when buying a used Volkswagen Jetta? The Volkswagen Jetta entered the market in 1979 as a compact sedan fitting above the company's popular Golf hatchback. Now in its sixth-generation, the Jetta started as a modified version of the Golf and grew into its own as an independently-designed vehicle. It's now one of the best-selling vehicles in the VW lineup both in North America and globally. The first-generation Jetta was based on the Golf and was essentially a Golf hatchback whose rear hatch was replaced with a trunk. Engine and transmission options were identical in the two cars. It wasn't until the second-generation Jetta was introduced in 1985 that the car really began to become popular in the United States. It utilized the Golf platform, but was otherwise designed separately from the Golf in most respects. It enlarged to a compact car as well. The third-generation VW Jetta was introduced in 1993. Four-door models were the only option and the car improved in both aerodynamics and engine efficiency. Road handling improved as well and interior refinements helped set this Jetta apart from many competitors in the generally cheap and unrefined compact market. This car also helped improve VW's reputation for reliability. The fourth-generation Jetta came in 1999 and was styled very similarly to the larger Passat sedan. The Jetta Wagon was introduced and diesel engines became a more popular choice in this generation of the Jetta. Sales of the Volkswagen Jetta rose considerably with this generation of the car. The fifth-generation was introduced in 2005 and was the first VW car to be both introduced in and first sold in the United States before any other market. The new look of the VW Jetta was received with mixed reviews, but the general design and underpinnings of the car carried forward with the popularity of the previous generation. The current- and sixth-generation Jetta came in 2011 and is a substantial change from the previous generations of the car. The Jetta is now larger, better equipped, and has better fuel economy. Lower costs of production make it more competitive as well. The platform for the Jetta remains Golf-based, but the cars share little else. The Jetta is now a competitive compact that is no longer sold as a premium-level vehicle. Diesel engines were dropped during the "Dieselgate" scandal of 2014-2016. Common complaints about the Volkswagen Jetta are 2002 and 2003 model year cars with engine and transmission issues. Mid- and high-mileage vehicles in these model years can have transmission failures and engine oil burning as a relatively common issue. Other Jetta complaints usually center on electronics. Current-generation Jetta models have a better reputation for reliability. What is the average price for Used Volkswagen Jetta? How many are for sale and priced below market? What Volkswagen Jetta model year and mileage can you get for your budget? Where does used Volkswagen Jetta rank in comparison to competitor vehicles? What Is The Average Price Of A Used Volkswagen Jetta By Model Year? What Is The Average Price Of Competitor Cars To The Used Volkswagen Jetta? What Is The Average Price Of Used Volkswagen Jetta In The Top 10 Cities? 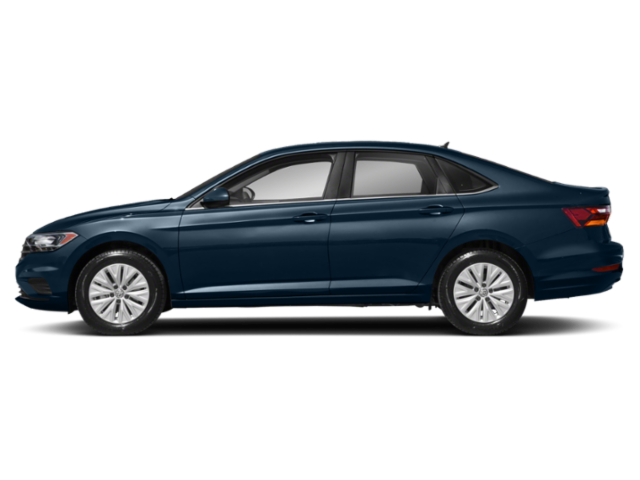 The four-door Volkswagen Jetta sedan has an unbeatable mix of roominess, affordability and a solid driving experience unlike anything available at similar prices from automakers in Japan and North America. Volkswagen has managed to stick it out in the US market through good and bad sales years. Now many are questioning if Volkswagen has the stuff to bounce back from the recent Dieselgate scandal that robbed the brand of one of its most popular and fuel efficient powertrains. Admittedly it appears that Volkswagen may manage to survive thanks to a high-margin three-row SUV called the Atlas, which will no doubt appeal to buyers of the Ford Explorer, Toyota Highlander, Kia Sorento and GMC Acadia. But will Volkswagen's core fan base, which is fanatical about performance versions of the Jetta sedan and Golf hatchback, be swayed? It's doubtful that those who love their GTI and Jetta GLI sport sedans will suddenly long for a rather large family SUV unless situational matters force them to sell their fun car. And, oh yes, the 2017 Volkswagen Jetta GLI tested here is a whole lot of fun. The 2014 Volkswagen Jetta is a model that may seem to some new car buyers as a somewhat long in the tooth design that perhaps has seen more appealing days in previous generations of this iconic three box German sedan. The Jetta was created, quite simply, when Volkswagen decided that its top selling hatchback Rabbit needed a cousin in the lineup just with a trunk. And while the formula has changed and the Rabbit is now known as the Golf in the United States finally, the Jetta has remained pretty true to its formula even when now and again bad luck befell this still loved compact. First there have been quality issues in the past that have put off buyers, the cost of repair and maintenance (part of why VW gives 2 years/24,000 complementary service and now has a parts and manufacturing site in Tennessee) but the biggest betrayal to Jetta loyalists had to be the latest redesign which saw the interior cheapened, a moaning 5-cylinder engine which you never wanted to push very hard made standard and most disturbingly the usual Germanic driving fun was somehow missing. Volkswagen did have a point; the latest Jetta has been a sales success even with some slight interior built backsliding mainly because they also made it much cheaper to buy. And quite frankly, the Jetta's interior as it is may now look a tad plain and Spartan but we really aren't sure we could ask for more from VW given our SE tester tested out at only $18,895 with air conditioning, power everything, cruise, Sirius XM radio, an AM/FM/CD/Aux input jack audio system with surprisingly fine sound and a handy USB/i-Pod connectivity cable in the center cubby. Features like Bluetooth, moonroof, navigation, full leather, alloy wheels and a 6-speed automatic are all available. Wait, what? Yes, you read that right. 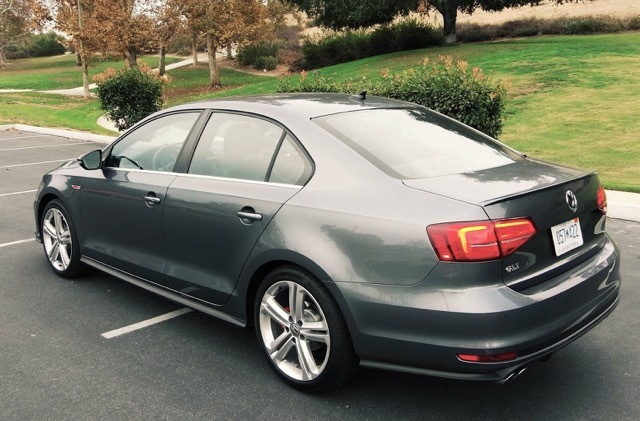 The 2014 Volkswagen Jetta is not only available with either a 5-speed manual (our test model was so equipped) and that autobox but the car was treated to a new entry level engine in the form of the now class-leading 1.8 liter turbocharged 170 horsepower/184 lb. feet of torque 4-cylinder that simply out powers and outperforms the competition. When it comes to base engines no one can compete for driving fun—not Civic, Corolla, Forte, Elantra, Cruze, Focus, Dart or wait...there is one. The slightly pricier 2014 Mazda3 is quite simply a hoot and a half to drive, has an amazingly perfect manual gearbox option, has a more modern interior but still it goes without the VW's motor which might force us to make a purchase decision based on Eeenine, Meanie, Minie, Moe. The 2013 Volkswagen Jetta continues a long and storied history of the German-engineered compact sedan, dating back to its inception in 1979. The Jetta is still in the sixth generation of production, known as Volkswagen's New Compact Sedan (NCS) line, which began in 2010. This model year continues the hybrid line of the Jetta as well as maintaining the diesel option in the standard line. One of the unfortunate circumstances surrounding the 2013 Volkswagen Jetta is the cost-cutting measure that needed to be taken in the North American versions. Volkswagen needed to make the model cheaper to produce in order to compete with the rival Toyota Corolla in the North American market. This led to some corner-cutting on interior materials quality and it shows in several of the reviews.